Your sushi chef dream team: who’d be on it? Anyway, as is his modest wont, my sushi-chef pal told me he was pleased to participate, but felt uncomfortable calling himself part of a sushi chef “dream team.” Meaning no offense to his talented fellow participants, I’m certain, he told me Seattle’s sushi-master Shiro Kashiba (yes, he’ll be there) is the only team player to deserve such exalted status. 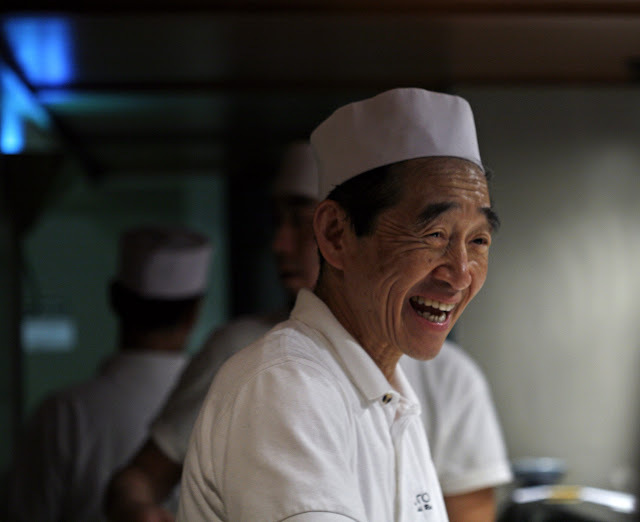 Which got me wondering: If you were putting together your own personal local sushi-chef dream team, who would be on it? Shiro Kashiba will be on hand Thursday evening at the Bell Harbor International Conference Center, donating his time and his talent in support of his native Japan. [Seattle Times/Betty Udesen].